There are three movies I watch every year around the holiday season. White Christmas, Love Actually, and Die Hard. Yes, there are others that get tossed in there from time to time over the years (Christmas Vacation, Lady and the Tramp, Miracle on 34th Street, Bundle of Joy, Gremlins, etc…), but these are the main three. This doesn’t even take into consideration the TV and internet specials I look forward to or the books I re-read each year. So, yeah. My cinematic tastes vary quite a bit, but that’s just part of who I am. Whatever it is you’re celebrating this time of year, I hope you’re enjoying some sort of comforting tradition with the people you love. Oh, and I’d love to know what movies, TV specials, and or books you re-read each year. Here’s a clip from a funny holiday special for anyone interested. Toinette Thomas​ shares her Christmas favorites on #OurAuthorGang. What movies, shows or books do you enjoy every year? Lovely!! Thank you for sharing Toi! I'm not much of a movie watcher and I'm at work during prime time. But my all time fav is A Christmas Carol. Today on #OurAuthor gang, author Toi Thomas​ talks about her holiday traditions, watching her favorite movies and reading books. What are some of your favorites? Love Actually is one of my all-time favorites. I usually binge on horror movies at Xmas time because I'm not done celebrating Halloween yet, lol! I can't binge horror movies, I'm much of wimp, but that does sound fun. +Toi Thomas -- sometimes I do Lord of the Rings, The Hobbit, and Harry Potter. This year it's old Christmas movies on Christmas Day. Fun article. My favorites, It's a Wonderful Life, Rudolph, the Red-Nosed Reindeer and a whole slew of others. Yes, I have a soft spot for the claymaion movies. My favorites are: A Christmas Carol, It's a Wonderful Life, and Christmas in Connecticut. I haven't see Christmas in Connecticut in years. May have to find it. 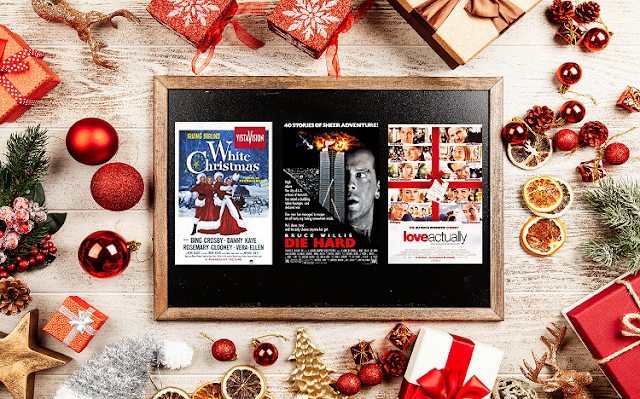 What's you favorite holiday movie? I totaly forgot about Home Alone and While you were Sleeping. Great picks.